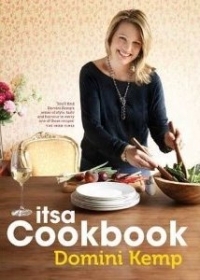 Irish Times food writer and restaurant owner Domini Kemp has compiled a mouth watering collection of her favourite recipes aimed at the everyday cook. Her recipes include everything from kitchen staples like foolproof tomato sauce and roast chicken, to imaginative mid-week suppers for the whole family, easy side dishes, fun and healthy brunches, fool proof dishes for entertaining and sweet things for all occasions. Written with real families in mind Domini demonstrates how easy it can be to conjure up great food every day, whatever is in the fridge! With over 100 recipes there is something here for everyone. Chapter outline: Breakfast, brunch and treats; No fuss dinners; Bit on the side; Show-off fail-safe recipes for entertaining & parties; Sweet stuff for all occasions.